This week we've partnered up with Neat Nutrition to bring you a healthy but indulgent way to refuel your body post workout. 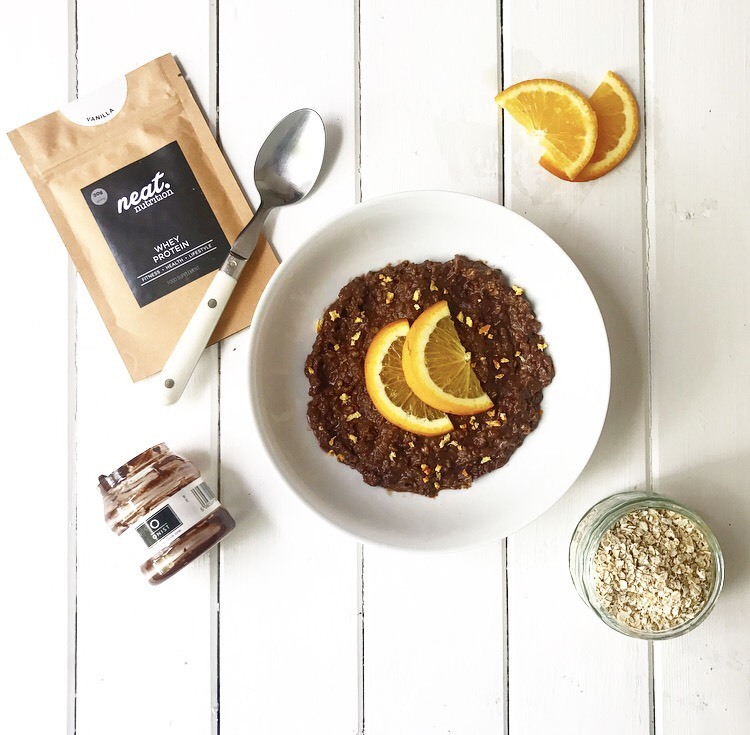 We love the work Neat Nutrition are doing to bring people honest protein supplements that are responsibly sourced and free from artificial sweeteners, flavourings and fillers. Given that Neat Nutrition was founded by former GB swimmers Charlie Turner and Lee Forster, we thought we should bring you the ultimate post workout breakfast that's perfect for refuelling after a long run. Marathon season is fast approaching! Whilst upping your weekly mileage and getting some longer runs in is key to a smooth, successful race day, have you been putting enough effort into what food you’re eating to aid recovery? It can be so easy to reward yourself after a long run with a piece of cake, but making sure you’re recovering properly with a good mix of carbohydrates, fats, proteins and micronutrients will mean you’ll be raring to go for your next run! This porridge contains enough carbohydrates, protein and healthy fats from the avocado to make it the perfect refuel meal as a second breakfast post run. It also tastes incredibly indulgent so you won’t feel like you’re missing out on any treats! Add the Onist pot, Neat protein powder and oats to a small saucepan. Pour in the milk and stir well until combined. Simmer gently for about 5 minutes, stirring occasionally until the desired consistency is achieved. Spoon the porridge into bowls and top with orange zest.